I have known Jen of Balancing Beauty and Bedlam since the early days of blogging. She is one of the first online bloggers that I got to know in real life. When I heard she was writing a book I couldn’t wait to see the finished product. I knew the book would share her heart and love of hospitality. 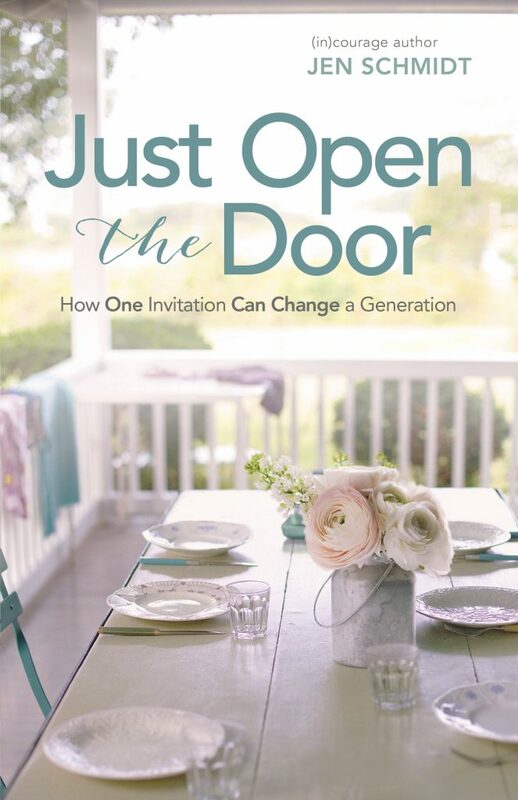 A few weeks ago I received a free copy of her new book, Just Open the Door, to review and I started it right away. I finished it the other day. I find it hard to put into words how much I enjoyed this book. Several times I was in tears reading Just Open the Door. My mom has opened the door to so many people over the years. I wouldn’t be the person I am today if people hadn’t opened their doors to me when I was a teenager.